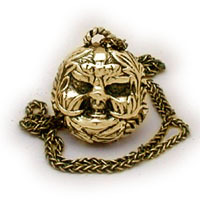 A hefty bit of gold casting makes the green man a beautiful, quality piece to behold. 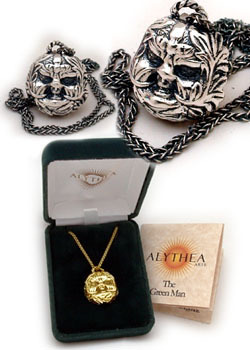 Each is accompanied by an 18" "Wheat Rope" chain, a genuine velvet gift box and a small descriptive pamphlet. Currently 5 guest(s) and 0 member(s) online.